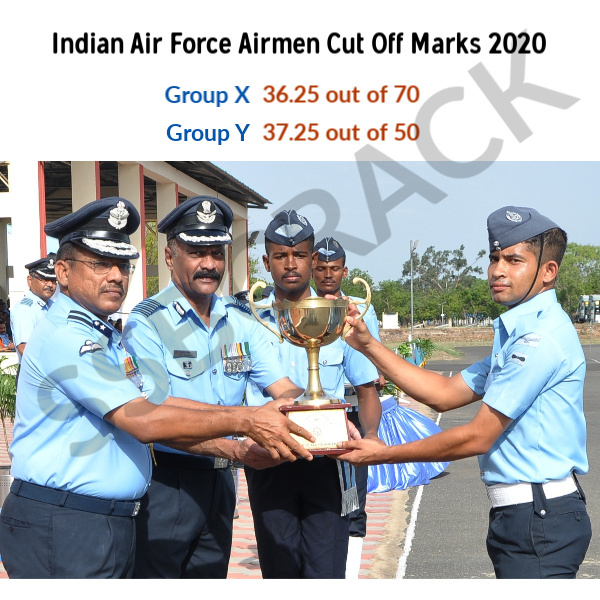 Indian Air Force Airman Cut Off Marks Group X & Y 2020 PDF: Indian Air Force official website for airmen airmenselection.cdac.in CASB has published the list of the successful candidates for the PHASE -1 written exam conducted for the Airmen Group X and Group Y exam for the Intake 01/2020 on 10th March to 14 March 2019. 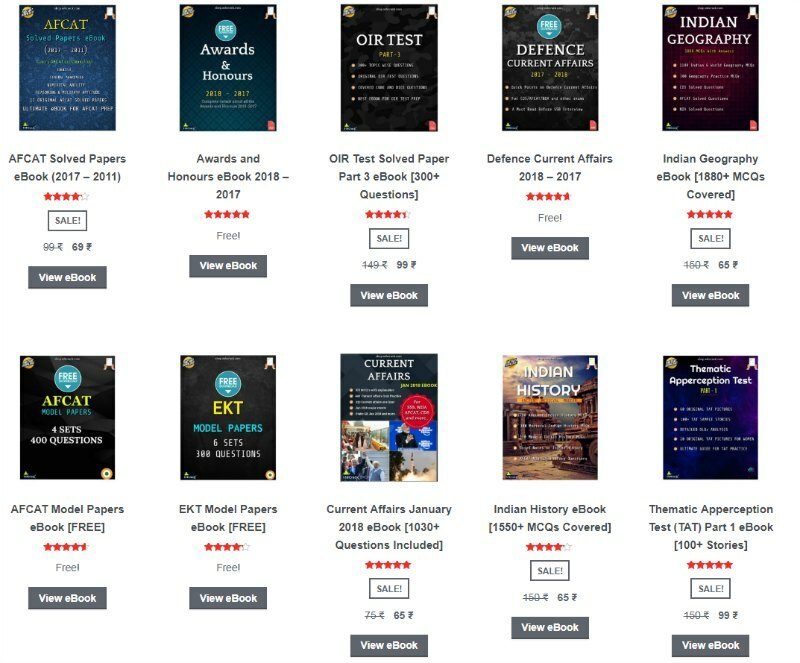 The exam was held online by CDAC across many online test center and on 09 April 2019 Indian Air Force Group X and Y Result 2020 result was declared. Around 13000+ candidates were able to clear the airmen exam phase 1 for group X and group Y. 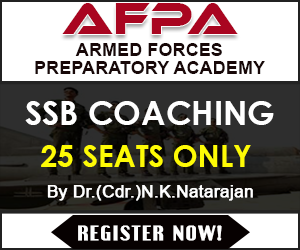 Successful candidates can check the Indian Airforce Airmen 2020 cut off marks and download the admit card for Phase- 2 testing from the official website by login at airmenselection.cdac.in. UPDATE 9 April 2019 – DEAR CANDIDATES, RESULT OF ONLINE EXAMINATION FOR INTAKE 1/2020 HAS BEEN UPLOADED IN CANDIDATES’ LOGIN UNDER VIEW RESULT. ADMIT CARD FOR CANDIDATES SHORTLISTED FOR PHASE-II AVAILABLE IN THEIR LOGIN UNDER VIEW RESULT. REGISTRATION NO. AND GROUP QUALIFIED IN RESPECT OF CANDIDATES SHORTLISTED FOR PHASE-II TESTING IS AVAILABLE UNDER CANDIDATES’ TAB —-> SHORTLISTED CANDIDATES FOR PHASE-II (INTAKE 01/2020). Around 13000+ candidates have cleared the Phase -1 online exam of Indian Air Force Airman Group X & Y 2020. Total 600000+ Candidates have registered for the same exam. 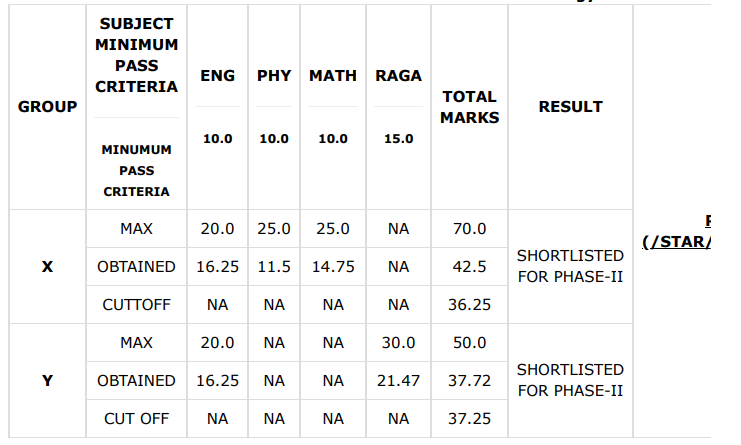 List of candidates who are shortlisted for Phase II testing are mentioned below. Candidates are to download the Admit Card uploaded on their Individual login from website www.airmenselection.cdac.in and are to adhere to Instructions provided therein. They are to carry the Admit Card for Phase II and Instructions provided along with them while arriving for Phase II testing.